Finding the best auto insurance is important! Bodily injury. This insurance only kicks in if you are at fault in an accident and only covers the other party’s injuries. That means that if you, or any of your passengers, are injured, your insurance policy will not cover your medical expenses. If you wanted to get coverage for yourself and those in your car, you may have to talk to your health insurance carrier. Comprehensive. In the insurance world, comprehensive refers to coverage for your vehicle. If damaged, your vehicle is covered for any losses, such as a broken window or a dented bumper that needs to be replaced. It can even cover the expenses of your car if stolen. This plan will not cover any damage to other vehicles or their drivers. Property Damage Liability. This plan will cover you should you cause damage to another vehicle or someone’s property. 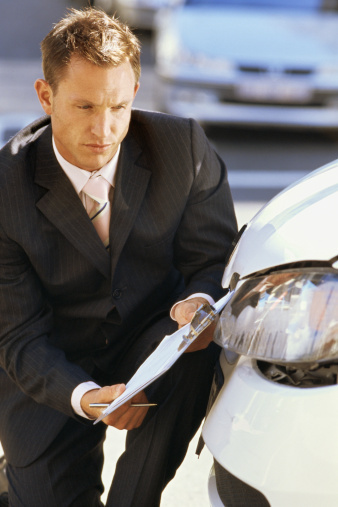 To protect your car, you’ll need to have collision or comprehensive coverage. Deductible. This is the amount of out-of-pocket cost that you would be responsible for before the insurance company pays the claim. A higher deductible often means a lower premium. But if you want to lower your out-of-pocket costs in the event of an accident, consider a plan with a lower deductible. Make sure you’re getting the type of coverage that you want for you and your family. If you don’t understand a term or a condition of the policy, ask your insurance provider for more information. Do you have any confusing or complicated insurance terms that you’d like an explanation for? Tweet us at @MVDExpress or comment on our Facebook wall with your insurance term!